Urdu elocutions were held on October 5th, 2015. Students presented their selected scripts with fervor, clarity, confidence and gumption. Our event hosts Muhammad Moiz of year IX K and Naqia Shaikh Ali from VIII R introduced and welcomed the elocutionists and provided the audience the details of the scriptures. The aim of this competition was not only to teach the students about the basic rules of elocution, but also make them aware of the current issues and familiarise our young audience about the richness and depth of Urdu prose and poetry. 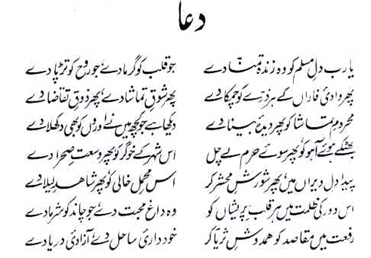 Great works of past and present were selected from writings of Allama Iqbal , Faiz Ahmed Faiz and Habib jalib. Judges for the event were the three year-tutors. After extensive deliberation and contemplation they decided to award Ibrahim Ayaz from class VII M – first Arbaz Hassan from class VII G - second and Asad ashmi from VIII G third place. Well done to all those who participated!